Have you ever sat in line at the drive-thru and had a hard time placing your order because of a bad speaker? We’ve all been there before. 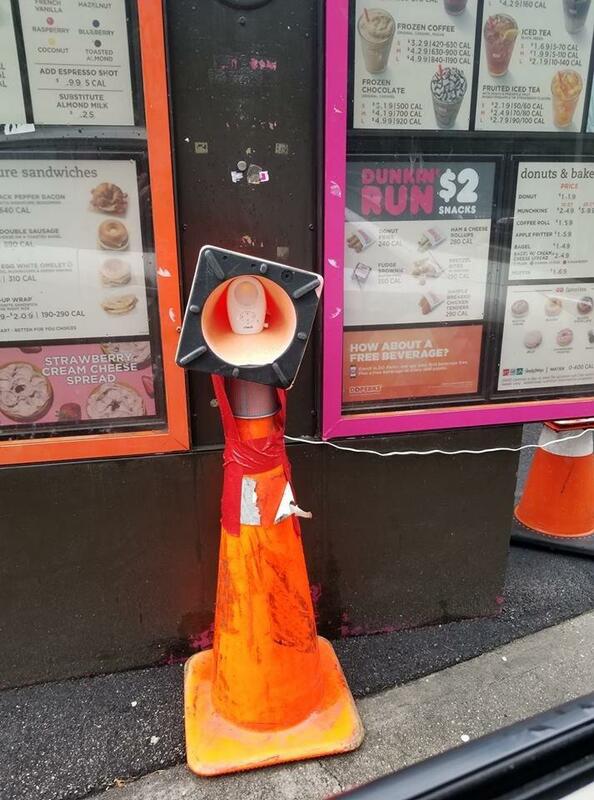 Reddit user u/Limit760 posted a picture of a Dunkin Donuts drive-thru speaker that went out. Well, the employees got creative and thought of the next best thing for how to fix it. They hooked up a baby monitor to a cone to amplify the sound in order to communicate to the customer. Now there is no excuse the next time a fast food business’ drive-thru speaker goes out. This is how you become the employee of the month. Click HERE to check out the picture.